You may not have heard of digital marketing using postcards, but, it could be the absolute most effective way to get exposure for your business. We now live in very much a digital age – people hate reading their emails and they hate receiving spam mail even more. People do not like to receive advertisements for businesses and products to their email inbox. However, postcards could be a different story. Direct Mail marketing with postcards has recently been used more than ever. And a lot of cases with email addresses and online advertisements, people will largely not even bother to open the email and at some point delete it should it not be relevant to them at that point. 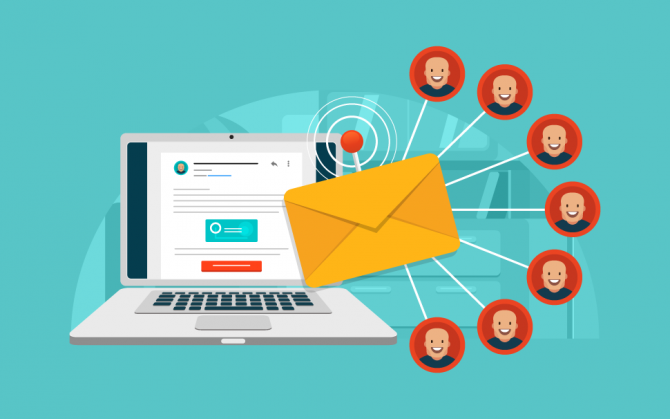 This makes it extremely difficult for business owners to even get started with a potential customer should they not open email advertisements. However, it is almost impossible for the recipient of a direct Mail postcard to not see and to not to read it. Should you designed them well and correctly, they can be extremely well personalised and very inviting for the recipient to open. Direct mail postcards also the weight with a much wider array of customers, people have gone back to enjoying receiving something physical as opposed to merely a noise on their computer. In 2016, it was noted that an amazing almost 60% of Direct Mail marketing postcards were read by those that received them. Of course, all of the aforementioned does not simply mean that you can send out a large number of postcards and receive a large amount of business in return! Oh no! It is essential that you design your Direct Mail postcard with the view of it being as enticing and as exciting to open for the recipient as possible. It is important to remember that most consumers hate advertisements – in other words, if your postcard looks like an advertisement, the chances of it being opened and read are greatly reduced! It is important to remember that when your customer picks up you are postcards from underneath their letter box, you only have a few seconds to encourage them to open it and give it a read. This means that keeping the language and the appearance of your postcard as relatable and non-formal as possible. If your postcard looks underneath like an advertisement, then it is obvious that it is! Obviously, consulting the help of are professional marketer would be the best idea for this, but it is important to remember the basics such as avoiding genetic photos pulled from the internet, as well as bold advert-like fonts. The next point you should consider is the person to who you are addressing your postcard. With the world being the way it is today, everyone seems to know more about everyone – and including their shopping habits, what kind of car they drive, etc. Most importantly, you should be absolutely sure to address your postcard to a name. For example, absolutely do not start your postcard with “Dear Sir,” or “For the attention of the homeowner/bill-payer.” This is extremely bad practice and will encourage recipients to throw your postcard away at the first opportunity! It has been proven by survey results that a huge number of people are much more likely to open and read mail if it has been directly addressed to them – you should do this when designing your direct mail marketing postcards as well! When you are designing your direct mail postcards, you should make sure that you are informing the customer of exactly what service or product you are offering, and do so in as concise a way as you possibly can. It is paramount that you use a simple design for your postcard – stay with a design that is simple and that conveys exactly what you want to convey. If you put out a postcard that looks like spam, it is far more likely to be considered so and to be thrown out by the person that received it without further consideration! If you design a card that is simple, is addressed to and involves the recipient, there is a much higher chance of them opening and enjoying it as opposed to it not even being a consideration! Direct mail marketing with postcards can be great exposure for your business as well in that it is relatively inexpensive, and it allows you to reach exactly those customers that you would like to. The same could be said for email advertisements for example, but advertising with direct mail postcards can be even more specific again – to the point that if you are a smaller local business, you can target individual streets, addresses, and people that you think are the most likely to want to try out your services or product. They are also relatively inexpensive – a lot of companies exist that will even design, produce, and deliver all of your postcards as part of the same package! This technique can save you not only money, but time as well! This can allow you to focus your interests and funds on areas that will expand your business! Another thing you should consider when having your direct mail postcards designed are how and of what material you would like them to be made. Offering something different to a generic leaflet type paper to recipients could be a marketing technique in itself, as it gives the impression of quality and of something different before they even open the postcard! Companies that specialise in areas of direct mail marketing are a great helping hand to outsource when you are designing your advertising campaign. They can offer you advice on the design of the postcard, alongside many other points such as the physical aspects of the postcard, where it is delivered to, what customers like to receive the most based on previous experiences, and so much more! You will find that you will receive a wealth of marketing help, and not just the printing of your direct mail marketing postcards as you might have thought!